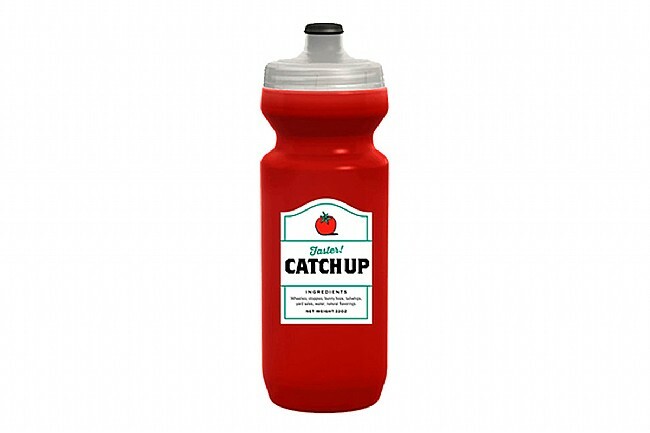 Don't get caught playing ketchup. 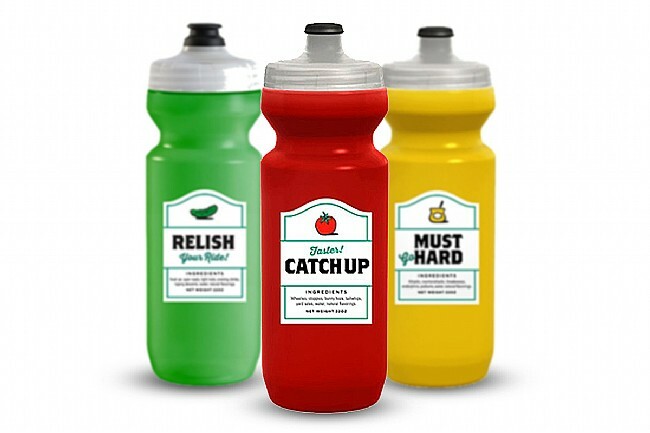 These Purist water bottles are printed with lighthearted graphics from the industry's darling Spurcycle. 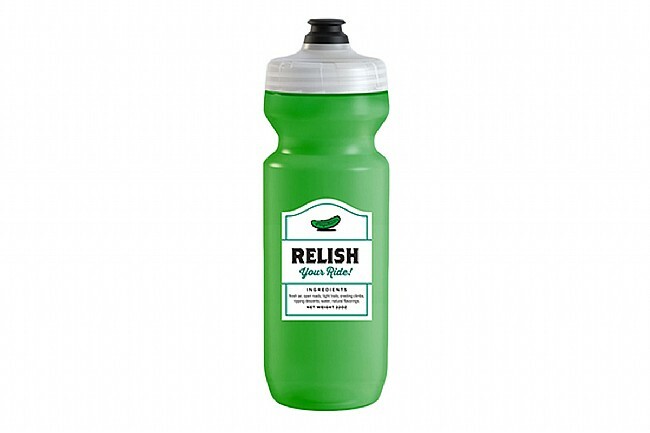 They have clean looks that will keep their contents clean as well thanks to a microscopic silicon dioxide coating on the interior that keeps odors, stains, and mold from staining the bottle so can keep your drinks fresh day in and day out. 22 fl oz. Available in multiple flavors. Right now just on my trainer. Works great! Mouth piece real good, easy to drink from. They look pretty cool too. Good bottles, affordable when on sale. Not my favorite top - flow rate a little too slow, but most new ottles are similar to these. These are great conversation starters and an excelent gift and motivator for your friends. Probably wouldn't buy them for myself, though, as love is best relished when it's spread as custard (see what I did there?). 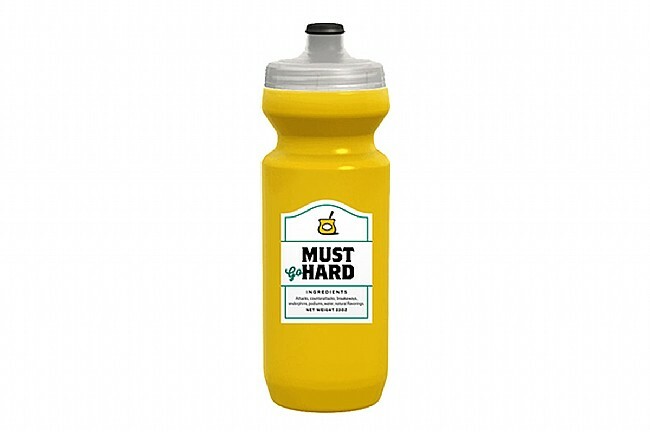 I have been using this bottle for a month and it is a good bottle in that it is low squeeze pressure and good bottle volume.